At 14,060 feet, Mount Bierstadt (above) is one of the easiest to ascend, with a wide trail that winds its way through swamps, high-mountain meadows and boulder fields. The journey begins at Guanella Pass, just south of Georgetown. If you worry about having never climbed that high before, put your fears aside. There are so many people – from young whippersnappers to truly elderly – hiking on weekends, it looks like a trip to the mall, but they’ll offer assistance if you need it. Long’s Peak by moonlight just might be the ultimate adventure. If that’s not for you, climb one of the state’s thirteeners, which are just as majestic but don’t get the same attention. You’re likely to see one of the state’s Rocky Mountain goats staring down at you from a rocky crag, an eagle flying high above, or ubiquitous marmots on the ascent. If your health or other situations won’t allow you to climb, then take the Cog Railway to the summit of Pikes Peak. Or drive to the top of Mount Evans. No matter how you get there, you really will be “on top” of the world, and there’s no feeling like it. Pack a picnic dinner, get there early and hope it’s a full-moon night. While your immediate goal is to sway the night away to good music, the side shows all add up to an experience like no other: the moon over the stage, lights of Denver in the background, sitting on rock-hewn seats, the smell of concert-goers’ drug of choice. Or go to a sunrise Easter service, no matter your faith. Sometimes we tend to downplay what’s in our own backyard, but as with other ancient ruins around the world, the cliff dwellings at this national park near Cortez should be visited over and over again. Look and marvel on your own or take a ranger-guided tour for more insight into the people who once inhabited the more than 600 dwellings. Only a small percentage of the archaeological sites have been unearthed, but there are enough open to the public to leave you with a sense of awe. Alternatively, take a full-day tour of the Ute Mountain Tribal Park, where a Ute tribal member will guide you through the park’s cliff dwellings and explain Ute history and the many examples of wall paintings and petroglyphs. Tours begin at Tribal Park headquarters 20 miles south of Cortez. Special tours, including those on horseback, are available throughout the year. While there, stop at the Pottery Factory, where tribal members continue to paint traditional patterns and more modern ones on functional, museum-quality pots. Let’s be honest. One of the attractions of this place – besides the natural setting near Steamboat Springs – is that you can go au naturel after dark. Masonry walls create pools of different temperatures, so you can always find one that’s “just right.” Spend the night in one of the rustic cabins, or better yet, choose the train caboose, because how many chances will you get to spend the night in a caboose with a fireplace? Other hot springs bubble from the ground in many areas of the state, including the great kahoona – Glenwood Springs. Try some of the smaller ones for a more intimate setting: Hot Sulphur Springs near Granby has several private pools and caves; Mount Princeton Hot Springs near Buena Vista allows visitors to sit in makeshift rock pools in the Arkansas River. Hike to the top of one of the state’s greatest natural phenomena, then snowboard down, or just walk as most people do. The park in the San Luis Valley is open 24 hours a day, so climb at sunrise or sunset or under a moonlit sky. Marvel at the beauty of Crestone Peaks, especially during the spring or late fall when the tips are coated in white. Then, in late spring or early summer, dip your toes in Medano Creek if it’s flowing. Climb to the top of Star Dune, the highest at 750 feet, for spectacular views and photo opportunities. Visit during a meteor shower for an unhindered view – no lights, no obstructions – just sky and shooting stars. Bring blankets, hot chocolate and other creature comforts, and plan to spend a few hours at dusk and into evening in Rocky Mountain National Park during the September-October rut, when males call out to and herd their “harems.” Moraine Park is a favorite location for listeners, although it’s now so overrun with cars and people that some of the magic has disappeared. Avoid the crowds by driving into the park along less-congested roadways, and you might get lucky and hear some stray calls. As an added bonus, the timing is perfect for aspen viewing, with the dancing leaves turning golden and red as night temperatures cool. Not those teeny passes, but big, burly, white-knuckle-inducing roads like Independence Pass between Leadville and Aspen. At 12,095 feet, the top of the pass is well above tree line: This is what it means to be in tundra. This narrow road usually closes in September and opens in late May. Independence is the state’s second-highest paved road. America’s highest paved automobile road is the Mount Evans Scenic Byway. That drive, completed in 1927, is less scary than Independence but just as scenic. The parking lot is at 14,130 feet, then you can hike a quarter- mile up a winding trail to the top of the peak at 14,264 feet. (Another way to stand atop the world.) A third option is Trail Ridge Road. While behind the wheel or exploring the area, you can imagine that in winter, snow drifts can get as high as 25 feet tall at the highest elevation, 12,183 feet. Even in July, cold winds blow across the tundra, but ground-hugging plants and flowers blanket the areas between lichen- covered rocks. The state’s economy and towns once were made or broken by the presence of iron rails. Trains still hold a fascination for young and old. Step back in time and ride one of the state’s refurbished rail lines, from the Cumbres & Toltec Scenic Railroad in Antonito to the Georgetown Loop narrow gauge line, to the Winter Park Ski Train. The Durango & Silverton runs daily excursions, even during the winter months. The coal-fired engines pull refurbished cars through canyons and wilderness along the same tracks once traveled by cowboys and miners – even train robbers. Take a leisurely float trip, or if you live for those adrenaline highs, steel yourself for the bumpy ride only a Class 5 rapids provides. 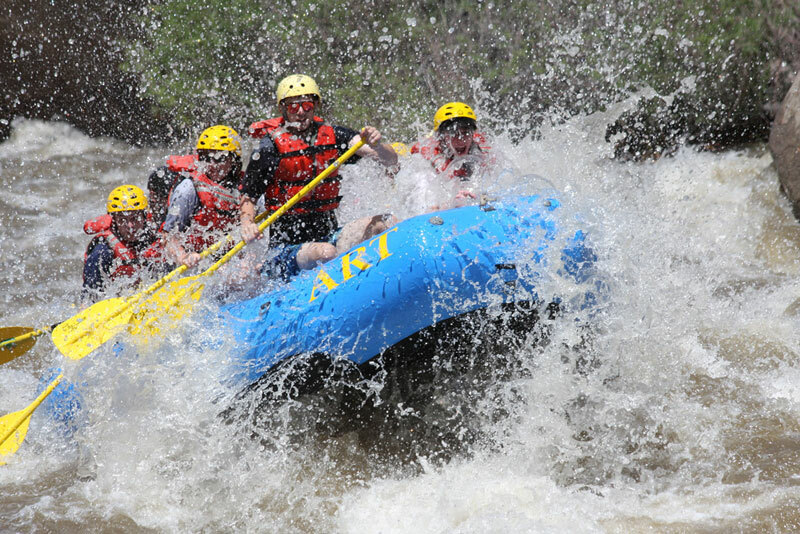 Whether you want a half-day or full-week excursion, steak lunches or a “classical music” cruise, you can find it through one of the area’s many rafting companies. Shop around for deals, but remember the wildest water is in early May as the snow pack melts. Most companies run rafts through September, except of course, in drought years. No need to worry about that this year, if January is any indication. Stock show – Attend at least once, not just for the unneeded mops or cookware, but to pay homage to the area ranchers and farmers who help make this state thrive. Ski Colorado- Schuss down the slopes at any of the state’s great ski areas. If you’ve never skied, take a one-day lesson. At least experience a chairlift, which you can even ride in the summer on most days. Royal Gorge – It’s not the biggest canyon in the world, but it’s still pretty impressive. Be brave and walk the suspension bridge from end to end. Go into Colorado’s wilderness – Hike a few hours in and out of one of Colorado’s many beautiful wilderness areas. Or spend a few days in a yurt or camping (not in a full-service park) to experience the wonder of nature. Hike (or bike) the Colorado Trail – Hop on the trail anywhere in the 500 miles connecting Denver to Durango. You’ll see lakes, wildlife and different ecosystems during your workout. 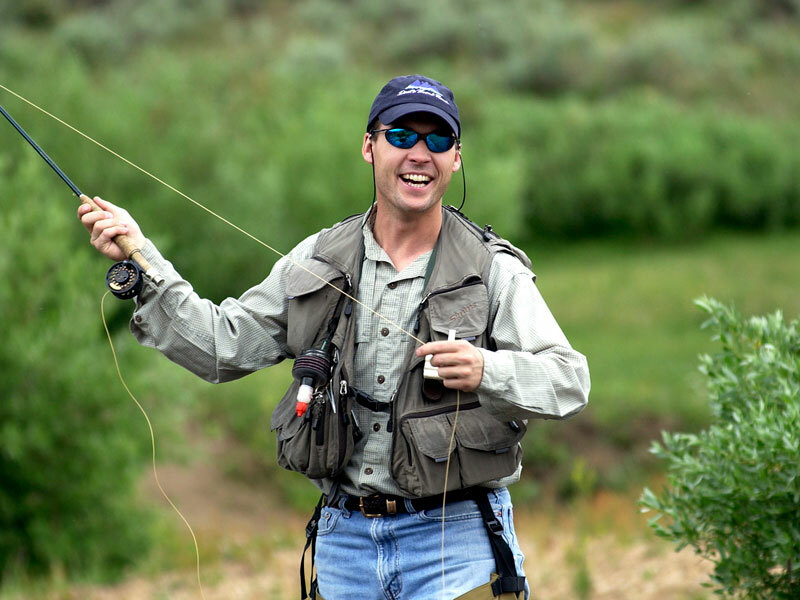 Cast a fly – You’ll never understand the peace and release of the graceful art of flyfishing until you try it. Don’t buy all the equipment, just take a class with a knowledgeable instructor. You can fish in some of the state’s many Gold Medal waters, but really, who cares if you catch anything? Hike to a mountain lake – The trail to Hanging Lake near Glenwood is just over a mile long, but strenuous. It’s worth the trip. Don’t worry if your overused knees aren’t up to the task. There are thousands of other mountain lakes just waiting to be found. Garden of the Gods – Balancing Rock and some other formations look as if they might tumble at any minute, and that’s the beauty of these amazing red natural sculptures. Climbing is allowed on a few more stable areas, so take a picnic and a camera and enjoy. Cultural institutions – The state has a plethora of fine museums, both massive and tiny, for every interest, from the exotic to the exemplary. Visit at least one each time you plan an adventure around the state. Festivals – It’s hard to reach a consensus on which is best, so plan to visit a few each month, from Blues and Brews Festival in Telluride to the Estes Park Wool Mart to the Ice Festival in Ouray.